By olduvai in Economics on November 6, 2017 . Dr. Ron Paul has long been a leading voice for limited constitutional government, low taxes, free markets, sound money, civil liberty, and non-interventionist foreign policies. Dr. Paul served as the US Representative for Texas’s 27th Congressional District from 1976 to 1985. He then represented the 14th district from 1977 to 2013. He ran for the office of US President, three times, most recently in the 2012 Republican primaries. Dr. Paul also had a long career as an OBGYN over which he delivered more than 4,000 babies. 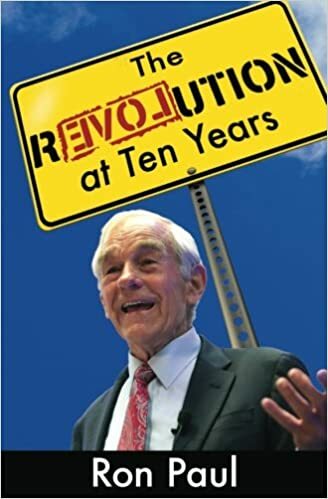 The recent author of the book, The Revolution At Ten Years, Dr. Paul looks ahead at the future of the movement he helped launch — tackling central planning, the military empire, cultural Marxism, the surveillance state, the deep state, and the real threats from these institutions to our civil liberties. Wealth doesn’t come from the creation of money, especially a fiat system. With too much fiat money and all this credit, eventually the economy becomes exhausted and engulfed with debt and mal-investments. The treatment for this is a correction; you have to allow the debt to be liquidated. You have to get rid of the mal-investment and you have and to allow real economic growth to start all over again. But that wasn’t permitted in ’08 and ’09, which is why there’s been stagnation.